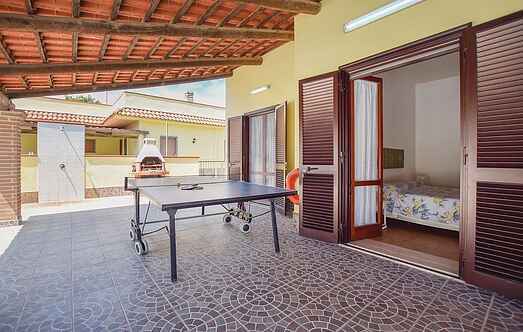 Find a vacation home to rent in Caserta from our list of vacation rental properties. Campaya has over 32 vacation homes available in Caserta, which give you the possibility to locate a unique accommodation in Caserta which completes your check-list in search for the perfect self catering vacation apartments in Caserta or vacation villas in Caserta. Nice villa in a property of about 10 ha comprising a lawn, a wood and an olive grove bordering the river Lete. The house is surrounded by an English style lawn with swimming pool. Lovely villa located a stone’s throw from the beaches and only 500m from the well-known sea-side resort of Baia Domizia. Beautiful villa with swimming pool just at 15 km from the beaches of Baia Domizia and at 20 km from the beaches of Marina di Minturno. This apartment is part of a house split into two units, located in the province of Caserta, with view over the surrounding hills. This beautiful four bedroom holiday home enjoys complete privacy, due to its location in the middle of a large estate in Torcino, within the province of Caserta. This holiday home in Torcino, in the province of Caserta, is immersed in the greenery of a large estate. This terraced holiday home in Alvignano, in the province of Caserta, enjoys a splendid view of the surrounding garden and is the ideal place for a relaxing holiday. Pretty little house immersed in the green of the Torcino estate. From its equipped outdoor area you can enjoy the view of the surrounding hills.